Multichannel retail is somewhat the need of the hour. The current generation of eCommerce customers are using multiple channels to research and purchase products. Simply focusing on one channel is not really going to be enough for the ambitious retailer. Gearing up the possibilities, there are multiple tools and integrations that would help you in the current retail landscape. If you are running a WooCommerce store, you will find a range of interesting tools that would help you with multichannel retail. 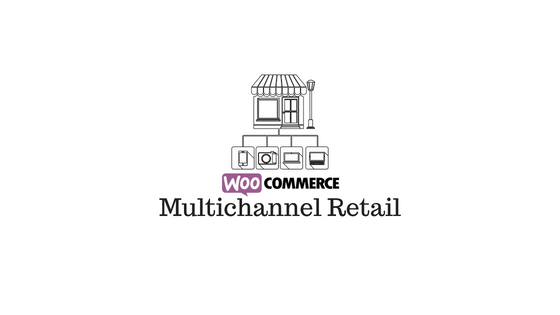 In this article, we will look at ways to improve your WooCommerce multichannel retail strategy. Here is an article that would give you more information on multichannel retail strategies for WooCommerce. Multichannel retail is a phenomenon that is naturally evolved thanks to the large increase of digital resources. More eCommerce shoppers are using digital resources to research on the products they want. Even those who prefer a traditional brick and mortar shopping experience are willing to go through online channels to understand the pricing patterns. Studies have shown that a lot of customers would use their mobile phones to research on pricing while at a store. So, it is simply a matter of common sense to make the same product available at all channels a customer would prefer to purchase. A multichannel retail system involves physical stores, online stores, online and offline marketplaces, social media channels, mobile apps, etc. So, in the current scenario, to be really successful, you need to make sure that your customers can purchase your products from all these channels. Why it is more profitable? Your average shopper has way too many options to research on the things they want. In fact, you can create a want in customers through different channels, and capitalize on them somewhat instantly. If the retail system flows through a single channel, your sales funnel and marketing strategies concentrate only on that. With multiple sales windows you can effectively gain customers from all available channels. Moreover, customers who use multiple channels to research and purchase their products are actually willing to spend more. According to studies, the average lifetime value of a multichannel customer is considerably more than someone who prefers a single channel. Another aspect of this is the fact that a multichannel customer is relatively more informed. Such a person is purchasing from you after careful considerations of all other possibilities. If the experience matches their expectations, there are more chances for them to be loyal to your brand. You can read a few tips to improve customer relationship management on your WooCommerce store here. How to improve your multichannel retail? There are several challenges that you might encounter when you actually try and set up a multichannel retail system. Let’s look at some of the essential strategies that will help you establish a WooCommerce multichannel retail system more effectively. One of the major challenges that mars profitability in a multichannel retail system is the varying pricing pattern that needs to be followed according to sales channels. Often you are forced to make price adjustments to get hold of one channel or the other. And, eventually it might lead to a dip in your margins, instead of boosting it. Investing in a good Product Information Management system would be the best strategy to deal with it. Here is a look at a useful tool that will help you manage product information from one place. This connector module helps you integrate your WooCommerce store with the Akeneo PIM software. By doing this, you can manage a large range of products easily. It helps you import all your product information to Akeneo software using a CSV or XSLX file. Also, you can export products from Akeneo to your WooCommerce store as well. This gives you a lot of flexibility in sharing your products with other channels. You can manage multiple aspects of your product information very effectively using this solution. Webkul Akeneo PIM connector module helps you link your WooCommerce products with Akeneo PIM software. When you have multiple sales channels, updating product information on all itself can become a tedious process. Once you connect your store to the Akeneo PIM software, you are spared of all the hassles of dealing with multiple import process. You will be able to update product information in one central place, and then redistribute to other channels effectively. The WooCommerce Akeneo Connector is available at a price of $299 with three months of service. You need to have the Akeneo PIM software for this connector to work. They have a completely free version, along with two cloud versions and an enterprise version. You need to request a quote from the Akeneo site for pricing details. At an additional cost of $100, Webkul helps you with Akeneo installation as well. If you have an online store, and you want to include a few social media channels too to be part of your retail strategy, it is relatively easy. However, when you try to switch between offline and online, or vice versa, things can become quite complicated. And, if you look at consumer behavior, there is a lot of attempts to get the best of both worlds. The comfort of shopping at home, and the satisfaction of trying out something before a purchase has to be never conflicting. How can you achieve this? By having the inventory only at one place by using an Inventory Management System. With the help of an Inventory Management System, you will be always on top of your stock, irrespective of the sales channel. Let’s see how established players approach this. For example, Nordstrom has a physical location in Melrose Place, Los Angeles. They don’t have any inventory. It will just help you to try different styles with the help of expert stylists. Once you like something, you can place an order online and it will be shipped to a convenient location on the same day. Let’s look at a good Inventory Management System for your WooCommerce store. Sellbrite is a solution that would help you manage your WooCommerce store, its products, inventory, fulfillment and reporting. It makes it especially easy to manage sales through multiple channels. Sellbrite makes it particularly easy to sync your products to marketplaces like Amazon and eBay. You can easily connect multiple WooCommerce stores to a single Sellbrite account, and there is no limit on the number of products. Sellbrite helps you effectively synchronize your WooCommerce multichannel retail system. In fact you can easily manage pricing adjustments for products based on the channel that you are selling. You can sync prices across channels, and apply specific rules, to reflect the differences. And, you can manage your entire stock across warehouses at one place, so that there is no confusion in inventory management. It also helps in shipping and fulfillment too, with discounted USPS rates, and Fulfillment by Amazon. If you are looking for a specific USPS solution for WooCommerce shipping, this one might be useful. And for Amazon Fulfillment, an alternative option you can try would be WooCommerce Amazon Fulfillment. 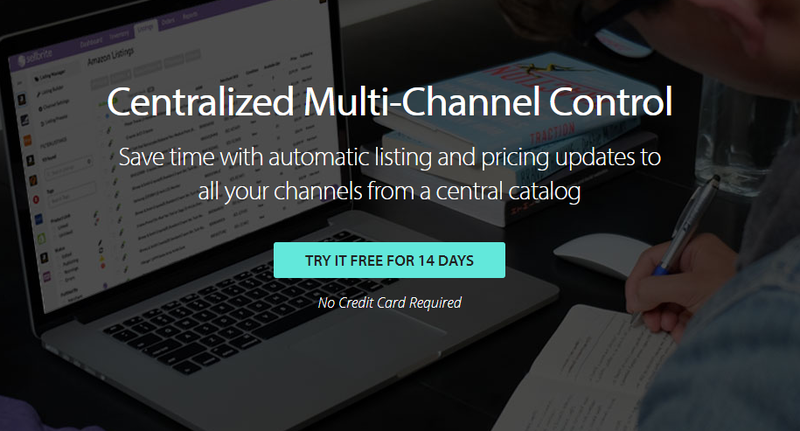 The pricing plan of Sellbrite starts at $49 per month when you are selling in two channels. When you are dealing with multiple sales channels, the influx of sales data from all these channels can be quite challenging. You probably want some tool that would help you manage data from multiple orders and sales as well. It would be really helpful to view sales data from multiple channels on a single dashboard. Let’s look at something that would help us in this regard. Stitch Labs is a solution recommended by WooCommerce to sync data and inventory from multiple sales channels. With the help of this tool, you can very effectively predict demand for certain products in a particular channel. This would help you focus specifically when it comes to applying varied strategies. You can easily make stock update decisions based on such data. If you have wholesale and retail sales channels, you can integrate them seamlessly using this tool. When your business is growing at a high rate, stitch Labs offers a comprehensive solution to handle your operations more efficiently. Stitch Labs offers flexible workflow management to help with your order management and fulfillment requirements. In addition, you can leverage data from multiple channels to take more innovative business decisions, and thereby improve profitability. The basic plan starts at $499 per month when billed annually. Even on the basic plan, you will get unlimited sales channels and users. Having multiple sales channels means you need to have a promotional budget for each of these. When starting out, that means increasing your expenses by many folds. For an established business, this might not be a really difficult scenario. However, it will be a totally different scene for a small business that is still in the growing stage. For example, your advertising budget needs to be divided among channels, if you really can’t raise the budget. This might have a heavy impact on your revenue if not done right. Thankfully, there is a way out. By using some of the above tools, in addition to improving your operational efficiency, you are also harnessing actionable data. The intelligent use of this data would help you stay on top of the game always. Basically, your sales pattern over a period of time should be able to tell you clearly where to invest your advertising budget. By collecting data from multiple channels, you would be able to understand customer behavior better too. This can probably help a lot in improving your marketing strategies as well. Another marked advantage of multichannel retail is you can target the same customer through different channels. For example, creating a Google Product Feed and then connecting your feed through AdWords would be a more efficient option compared to regular ads. You can target the same audience through Facebook ads as well. When you have the same customers visiting your multiple channels, it might be easier to build your brand compared to a single channel. This plugin helps you create a Google Product Feed syncing your WooCommerce products. You can create an XML file of your products after mapping them to the required fields mandated by Google. If there are certain fields that are not present on your store, you can create these additional fields also using the plugin. Furthermore, you can periodically update the feed by setting up daily, weekly or monthly cron jobs. The plugin is available for purchase at a price of $69 for single site subscription. Customer experience, as we consistently assert, is a differentiating factor to your business success. You need to ensure that your customers are able to get a consistent experience while interacting through varied channels. This consistency is very important in building an identity for your brand, irrespective of the channel. However, you can also try and optimize the user experience across channels into a more context-driven approach. If analytics data is giving you clear insights on users choosing specific channels for specific uses, you can optimize the channels accordingly. For example, users might be reloading a mobile wallet by logging in to the website. At the same time, the mobile app is used more to make in-shop payments. A multichannel retail system offers a wealth of opportunities and challenges at the same time. With the evolving shopping trends and customer behavior, focusing on multiple sales channels is a naturally sensible option. However, you may need to act more assertively to manage pricing, inventory, fulfillment and reporting of all the channels you are selling through. Thankfully, to enable your WooCommerce multichannel retail system, you can find quite a few efficient tools. We believe this article has pointed out some useful strategies and tools to manage your multichannel retail system. Share with us if you have hands-on experience with any of these tools or services. How to set up a multichannel system on WooCommerce?